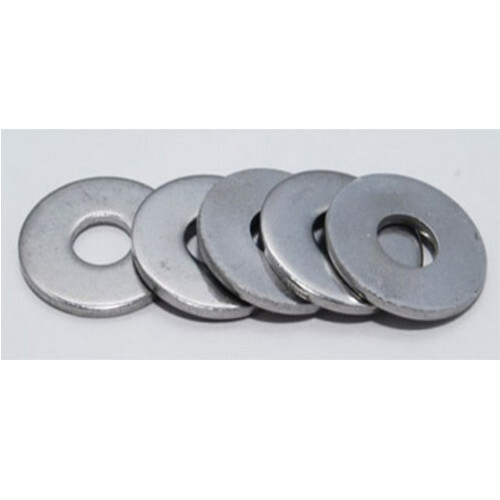 Inconel Washer is an alloy with nickel as the main element and chromium as the secondary element. Washers made from this material exhibit high resistance to pitting, corrosion, cracking, and a wide range of acids. They can also withstand extreme temperatures while retaining strength with little or no creep. Inconel washers are commonly used in industrial applications that call for exceptionally tough components, including power and utility equipment, petrochemical, and oil and gas processing machinery. Incorporated in the year 2008, at Mumbai (Maharashtra, India), We “Nikkon Steel & Alloys” are prominent name engaged in Wholesale Trader, Manufacturer and Exporter highly efficient assortment of Forged Fittings, Stainless Steel Plates & Sheets, Steel Pipes & Tubes, Industrial Flanges and many more. The offered product range is procured from the reliable and certified vendors that precisely design and manufacture these products in adherence to international quality standards utilizing quality approved raw material and the most advanced manufacturing technology under the guidance of their adroit professionals. These products are highly admired due to their attributes such as easy installation, sturdiness, hassle free operation, dimensional accuracy, high durability, rust resistant finish and longer service life. In order to fulfil the diverse requirements of our clients in the most efficient manner, we provide these products in various specifications at economical prices.